Bruce Harle Lockwood (Bud) passed away early in the morning on Christmas Day at his home in Solvang, Ca. He was born to William Lockwood & Nelda Lydia Harle Lockwood on February 1, 1944. Bruce grew up in the San Fernando Valley (Encino) & graduated from Birmingham High School where he was one of the top competitors on the Swim Team. He joined the Navy Seabees (MCB-9) in August 1962 & served 2 tours of duty in Okinawa. Bruce married Susan Lemmer in February 1965 & was deployed to Vietnam shortly thereafter. He returned home just in time for their 1st Anniversary. They were married almost 54 years & were blessed with 2 children, Bruce (Buddy) & Christina (Tina). Bruce was a member of the Plumbers & Pipefitters Local 114 Union in Buellton, Ca. 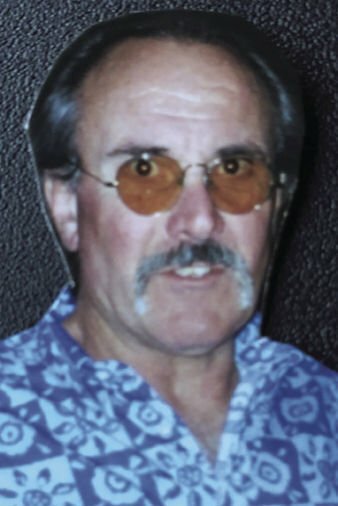 He was a pipe welder & worked on the Space Launch Complexes at Vandenberg AFB for many years. Bruce was also the Welding Apprenticeship Instructor for the Union from 1986 until his retirement in 2006. He was predeceased by his parents, William & Nelda Lockwood & brother, William (Bill) Lockwood. Bruce is survived by his wife, Susan, son Bruce (married to Tracey) & daughter Tina. He was the proud Grandfather of Tyler, Alyssa, Nick, Emma & Alex. He is also survived by his sister, Sioux Ratkovic (married to Mark). He leaves behind many sisters & brothers-in-law, nieces, nephews, friends & Union Brothers. Bruce was almost 75 years old & had a long & extremely courageous battle with pancreatic cancer. He will be deeply missed by all. Our hearts are broken - but our spirits remain strong. He is in God's care now. A Memorial Service will be held at 1:00pm on Saturday, February 23, 2019 at Loper Funeral Chapel in Ballard, Ca. In lieu of flowers any contributions in his name could be made to Ridley-Tree Cancer Center in Solvang or Visiting Nurse & Hospice Care of Santa Ynez or your own favorite charity.